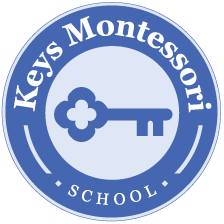 Keys Montessori School is a licensed Private Academic School through the Pennsylvania Private Academic School Board to provide the Montessori experience for children through their Preschool and Kindergarten years. The school year begins after Labor Day and goes through mid-May. Children ages three and four are accepted as new students to the program. Children must be born on or after May 1, 2015. Available only to current Keys Montessori School students who have been enrolled in our pre-school program for at least one year and will be 5 years old by August 31. Tuition payments are due on the FIRST THURSDAY of each month, AUGUST through APRIL. Key’s Montessori School is also licensed through the Pennsylvania Department of Human Services to provide before-session child care and after-session child care for current Keys Montessori students. Hours available: 7:30 a.m. – 8:30 a.m. and from 2:00 p.m. – 5:00 p.m. There are separate charges and required forms for Child Care. Participation in Child Care is approved by the Director.